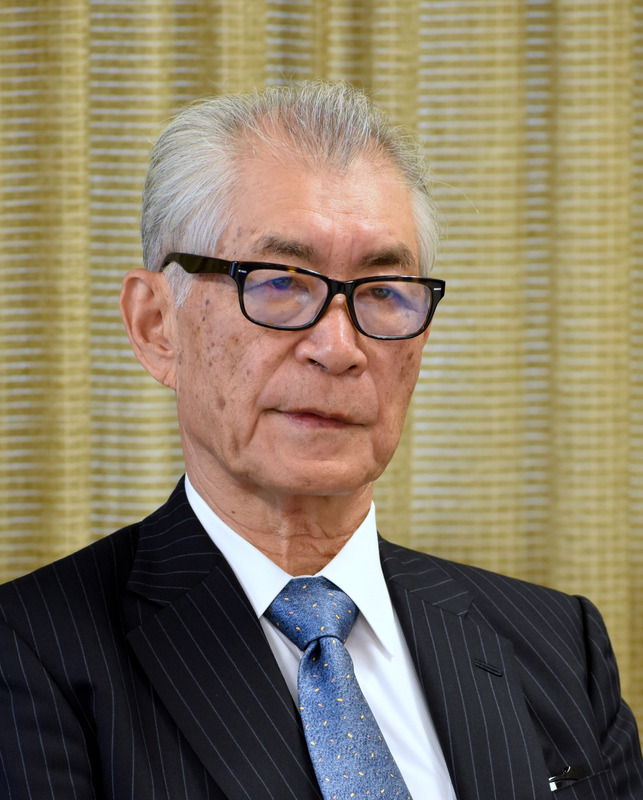 Nobel laureate and immunologist Tasuku Honjo on Tuesday called for a better environment in Japan for conducting research in the life sciences, saying more efforts are needed by both the private and public sectors in enabling researchers to come up with medical cures for illnesses such as cancer. The Kyoto University professor, who was awarded this year’s Nobel Prize in medicine for his studies on cancer therapy that focus on controlling the immune system, told a meeting of ruling lawmakers at the Liberal Democratic Party headquarters in Tokyo about difficulties in the process that led to the development of the immunotherapeutic drug Opdivo. He spoke of his partnership with a Japanese pharmaceutical firm that didn’t always work, his cooperation with a U.S. company that led to clinical trials for the drug and his recollection that the favorable results of the tests that came out in 2012 were not covered by the Japanese media. “Researchers around the world were surprised by the results because at the time people didn’t think immunotherapy was effective in treating cancer,” Honjo said. “Most of the patients who took part in the clinical trials were terminal cancer patients and the drug was effective for 20 to 30 percent of those patients. In addition, the effect continued even after administering of the medicine was stopped after half a year,” he said. “This was unthinkable based on conventional cancer treatment then and newspapers around the world including The Wall Street Journal reported on it as the top story on their front page, but none of the media organizations in Japan reported on it and that left quite an impression on me,” he added. Honjo and his colleagues identified what is called programmed cell death protein 1, also known as PD-1, in 1992 and discovered later that the substance works like a brake on the immune system. As applying the brakes means lowering immunity and making the body susceptible to infectious diseases and cancer, they experimented with removing PD-1 in mice, leading to an activation of their immune systems, which in turn resulted in almost no tumor growth. 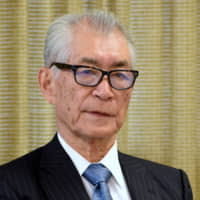 Honjo said a small-scale clinical test he conducted at Kyoto University among ovarian cancer patients found that treatment was effective for about half of the human subjects, and particularly for one of them who had clear cell carcinoma, an extremely malignant type of cancer, with the tumor completely disappearing after four months of treatment. The drug is believed to be effective for cancer in any part of the body, he noted. 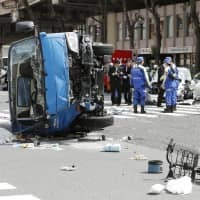 With many trials conducted around the world in combination with other treatment methods such as chemotherapy and radiotherapy, the 76-year-old Kyoto native expressed hope that the new treatment would eventually become the No. 1 choice for cancer patients. But he noted that a lot of work lies ahead, including improving its efficacy rate and training cancer specialists, many of whom are not well-versed on immunology. Amid the promising prospects, Honjo noted that Japanese pharmaceutical companies are expected to lag far behind those overseas, especially American firms, in handling antibodies targeting PD-1. He said many Japanese pharmaceuticals are run by businessmen, whereas their counterparts in American firms often have medical degrees and have a better understanding of the products they handle. He also called for more government assistance toward basic research, which would support the crucial starting point in the process for a medical product to come into existence. Honjo was chosen as a joint recipient of this year’s Nobel prize for physiology or medicine along with American immunologist James Allison.